My life is a pile of lists right now. Lists of questions to ask the doctor, lists of things to do for Christmas, lists of things to do before the baby comes. Lots of lists, and especially that massive master to-do list that I talked about last Tuesday. Thankfully Derek and I were able to cross several big things off the list over this past week! Here's what we accomplished. 1. Bought gifts for my dad and brother. This was stressing me out. Remember that post on what to get men for Christmas? My dad and brother are who prompted it. I took the easy way out and got them movies and CDs that they wanted, which seems so un-creative, but I guess it works. 2. I cleaned out my dresser drawers. I had been putting it off for weeks, but it needed to be done before we could move our furniture, and I finally just did it last week. 3. Got a new washer and dryer. Derek and I really excited about this one. Did anyone go out on Black Friday? Derek and I made our first serious attempt to get some Black Friday deals this year. We had unsuccessful attempt to get a TV at Walmart. We should have showed up about an hour earlier and maybe we would have gotten one. However, after that shopping failure, we headed over to Sears because we saw they had some good deals on washing machines and dryers (remember that post about how our washing machine died?). And what do you know, even though we got there two hours after opening, there were still washers and dryers available to buy. Apparently laundry appliances aren't high on the list of things people buy on Black Friday. So, instead of spending $1200 on a washer, which is what we were anticipating, we were able to get one for $600! That's a crazy deal for a washer and dryer set! A much more manageable amount of money to spend, and I'm so excited to actually be able to do laundry in my own house again. I'm way behind. I also got a couple gifts for Derek at Sears that were probably close to half price! I won't say any more, just in case he's reading this, but that made me pretty happy as well. Oh yes, and some pretty fabulous boots for myself from JCPenny. Derek gave me permission to buy them (usually I wouldn't so close to Christmas, but he said I could, so I did). It was a pretty successful Black Friday. 4. Derek and I decided on a hospital. I know, all you crazy pregnant people who had your birth plan figured out at 6 weeks are staring at the screen in shock that we're just now deciding on a hospital. My doctor's office works with three different hospitals, and I know someone who has given birth in each. It's a big decision to make - I wanted to make sure we did our research and picked the best one. We finally decided on the one my mom thought we should go to all along (moms know best so much of the time, don't they?). It has good security and a level 3B NICU, which I learned is better than a 3A NICU, because it means that they can handle babies as early as 24 weeks, and they can have babies who've been through most types of surgery. Lord willing we'll never need the NICU, but it gives me peace of mind to know we're going to a hospital with such a good one. 5. We moved our furniture into the basement! This was a big one to me, because I really couldn't start on half the things on my list until we had moved down there. We are now sleeping in our new master bedroom, and it's lovely! I won't post pictures yet, because I want to get curtains and a few decorative items before I reveal it to you, but I did decide the new green was absolutely the right color. I'll try not to keep you in suspense for too terribly long . . .
Yep. It's a mess. I have alot of work to do. 1. Wrap all Christmas gifts. 2. Make Christmas card and Baby Shower invite lists. 3. Start writing labels for Christmas cards (still waiting for them to come in the mail). 4. Organizing that mess of a bedroom. 5. Work on sanding down the baby's dresser (we're refinishing it - more to come). 6. Try to organize the baby registry (I'm having issues with registry stuff and I'm going to try to straighten it out online). I think that's enough for today - I better get started! Signing out. I've been a blogging slacker since last Wednesday. This is the first time I've seriously sat down to blog in five days! That's a long break for me. The items are really piling up in my reader too . . . But I did have a wonderful Thanksgiving, and Derek and I accomplished alot this weekend! More on that later. It's also time for another pregnancy update this week, which I'll post as soon as possible. Today I have a doctor's appointment, and I thought I'd attempt to finish our registry before that, so this is just a short, sweet post just to show you the annual Christmas decorating pictures. We decorated the tree the weekend before Thanksgiving - we always jump into the Christmas season a bit early! Of course I had to make us some fancy hot chocolate - yum! This is me preparing to do my traditional job, which is putting the skirt around the tree. Derek's official Christmas decorating job is to put the topper on the tree. And it's finished! Here are the "after" pictures. Proud of our completely decorated tree. Some of my new Christmas decorations! I felt like I needed some centerpieces for my coffee tables. What do you think? The dining room and living room areas. And a belly picture in front of the tree. This is me at 25 weeks (and admittedly after a big meal). Sorry for the color cast in the pictures - I haven't had time to try to correct that. And no, it's not your imagination, I did change sweaters halfway through the decorating process. And (as Chloe pointed out) yes, Derek did shave halfway through as well! We took a break in the middle of the day and went out to eat, so I changed and Derek shaved. I hope you all had a lovely Thanksgiving, and a wonderful time decorating your houses for Christmas! Because I know alot of you do it the weekend after Thanksgiving. I don't think there's many middle-of-December people among your ranks. Correct me if I'm mistaken. Looking forward to seeing your Christmas decor too! Speaking of which . . . back to my reader. I am thankful for my husband. Derek is perfect for me - he understands me, laughs with me, and loves me in spite of my craziness. I love that he is such a godly man, and he loves the Lord with all his heart. I love how hard he works to provide for us and take care of our home, and he is always making me smile. I know he'll be an amazing father. I am so grateful that the Lord chose to bless me with my wonderful husband. I am thankful for our dogs. Yes, I am thankful for them even after Harvey chewed up my new shirt this morning. All three of them add fun to our lives, and they keep things interesting. Dogs are a blessing because they love you no matter what, and I am thankful for ours. I am thankful for our house, and our new basement addition! I am so grateful to have the opportunity to finish the basement, especially before the baby gets here, and it's such a blessing to live in our own house, and be able to put that monthly payment toward owning our house, instead of renting it. I am thankful for our families, and I am grateful that so many of our family members live in our state. Having a good relationship with family is not something to be taken for granted, and I'm so happy to have such a wonderful immediate family, parents that taught me about Jesus growing up, and siblings that are among my best friends. I am also so thankful to have such great in-laws (which I know not everyone is blessed with). I am thankful to be an American. Not everyone in the world has the privilege to be born here and to be an American citizen. Even if I don't always like the direction the country is going, I am blessed to live in a country where I can have a say in the direction the country goes, a country that is founded on Christian principles, and a country where I can enjoy so many freedoms that the much of the world is denied. I am thankful for our baby. This is obviously the big one this year - as you all know, earlier this year I was doubting whether we would ever get pregnant, and then the Lord surprised us and blessed us beyond our expectations. I love feeling our baby boy move, and I'm trying to treasure every moment of this miracle. To be a mother and raise a family has always been my main goal in life, and I'm so thankful that the Lord has entrusted us with this precious gift. I can't wait to see my amazing husband as a father! I am thankful for the gift of good friends, and that includes all you wonderful ladies I have met through blogging! Finally, and most importantly, I am thankful for the ultimate gift of salvation. I am thankful that God chose to become a man in Jesus, endure a hideous death in order to atone for my sins, and come back to life in order to save me. I am a sinner through and through, and there is no way I could ever deserve what Jesus did for me on the cross - but that's why they call it grace. There is no greater gift than that, and nothing for which I am more thankful. I hope you all have a wonderful Thanksgiving with your families, and I pray that each of you would know the most wonderful blessing of salvation through faith in Jesus - and that you would take time to thank Him for it this year. I sit here in front of the computer on Tuesday night, and I must admit I'm quite tired. Trying to tackle some of those "to-do" items you know. I wanted to post my personal Thanksgiving list for Wednesday, but I'm much too tired to write it tonight, because I want it to be a good list, not just a short bullet list. So I'm thinking I'll sit down tomorrow morning when my eyes aren't blurry and my head is clear, and I'll write it then. Another thing I must do tomorrow is make Sweet Potato Casserole for our Thanksgiving dinner. We're having dinner at my aunt's house this year, and this is the only thing I have to contribute to the meal - yes, I have it easy this year. I'm glad I get to bring this dish though, because it's my absolute favorite Thanksgiving side dish - I look forward to it all year long, and sometimes I even cheat and make it when it's not Thanksgiving! I thought I'd share the recipe here - you know, in case any of you are still looking for a side dish recipe. Is it better than sweet potato pie? In my humble opinion - yes. No contest. It beats sweet potato pie hands down. So if you're looking for a way to get the yams in this year, this is your lucky day! If you make it today, you have to tell me, because then we could quite possibly end up making it at the same time - how cool would that be? Mash potatoes, add remaining ingredients except marshmallows. Pour into casserole dish, cover and bake at 350 F for 45-50 minutes. Add marshmallows to the last 10 minutes of baking. Serve warm. Last night, as I was sitting on the couch watching the little boy move and talking with Derek, I had a nice little stress attack. Why? It just struck me how much stuff I have to accomplish before this little one arrives, and how soon that could be. I've been feeling like this for a few days, and I either have one of two reactions: I get grumpy and moody, or I start to cry. Both are the result of the fact that I feel completely overwhelmed. Maybe I'll share the list of things to do in a post soon, but that's not really the point of this post. I decided to at least do a little house cleaning last night, even if I couldn't get going on any of the things on "The List" (they're all big things, so there wasn't much I could do with an hour left until bedtime). As I started cleaning the bathroom and vacuuming, it occurred to me how ironic it is that I've started getting particularly stressed about all of that this week. This week is Thanksgiving week. This is a week that I should be focusing on how blessed I am, and how much the Lord has done for me. You know, as opposed to stressing about my "To Do" lists, and how I'm never going to get it done, and oh, poor me! Satan sure knows how to get at our weak points, doesn't he? Yes, there is still a huge list sitting on my kitchen table. Yes, I still have to work on accomplishing some of those things this week. And yes, I really only have 11 1/2 weeks to get it done before I'm officially full-term and probably won't want to do anything. But instead of stressing about it so much, which doesn't accomplish anything, I'm going to pray that the Lord will help me to be wise with my time and accomplish everything that needs to be done. And then I'm going to thank Him, because even though there are alot of projects around here, the reasons that I have those projects are all huge blessings. It's a blessing to have this work, because each task stems from a blessing. The "To-Do's" also give me a reason to remember why I must rely on Him - and that's a blessing in itself! I have no reason to complain, and I'm always ashamed when I fall into complaining and stressing like this. He's given me so much - why would I complain about the tasks He has set before me? I am thankful that His mercies and grace are new every morning. Here's to a new day of remembering His faithfulness, and relying on His strength instead of my own! And really, that's the best way to live, isn't it? Ever since we found out that we're having a baby boy, Derek and I have been getting asked about what we're going to name our baby. I promise that I'm not evading the question so that I can keep it a secret until his birth. We just honestly don't know what we want to name our little boy. It seems like everyone has names picked out for their children so quickly, and I feel like a bit of a name-picking slacker. But I find that if I think about a name too much I tend to get tired of it, and then I'm not sure if I like it anymore. That's why I didn't have names picked out for a boy already. In an effort to start thinking about what names I like, I went to the Social Security website. If you go to their website you can see the top 1000 names from any given year since 1879. It's a pretty cool feature. So I decided to print up the list of the top 1000 names from the years of 1900 and 2009. I picked 2009 because I want to see what's popular right now. I picked 1900 because Derek and I like classic/Old English names. I'm not so crazy about modern names - I like a name to have a history, personally, and I like it to be easy to spell. I figured I'd get a good variety of classic names from the year 1900. I saved the lists to my computer and started deleting some of the names that I know I don't like. I wasn't too surprised at seeing some crazy ones in the 2009 list, but I was very surprised by what I found in the 1900 list. Apparently it was a fad in the year 1900 to name little boys with girl's names. Oh, but not just the general girl's names, the ones that could be a bit ambiguous - like Ashley or Lindsey or Kelly. I still think those are girl's names, but you hear them enough as boy's names that it's not entirely unusual. No, I'm talking extremely feminine names. Names like Rose, Elsie, Gertrude, Ella, Helen, Allison, Irene, Vivian, Annie/Anna, Emma, and Margaret. And these weren't just isolated incidents. Eleven little boys were named Lillian. Twenty-two Jewel's, and twenty-two Bertha's. And yes, there were even nine boys named Callie. At least with that one they could be called "Cal" or something. How do you shorten Lillian to something acceptable? Or Anna? All together, about half a percent of the boys born in 1900 had what I would consider to be clearly girl's names. That may not sound like much at first, but it probably adds up to a couple hundred boys at least. I kept double checking the list to make sure I was on the boy side. But there was no mistake - it was the boy side. It just goes to show that people can think up weird names for their babies no matter what year they live in. In honor of Derek and I decorating for Christmas today (which I'm quite excited about), I thought I'd share with you all one of my favorite Christmas CDs. 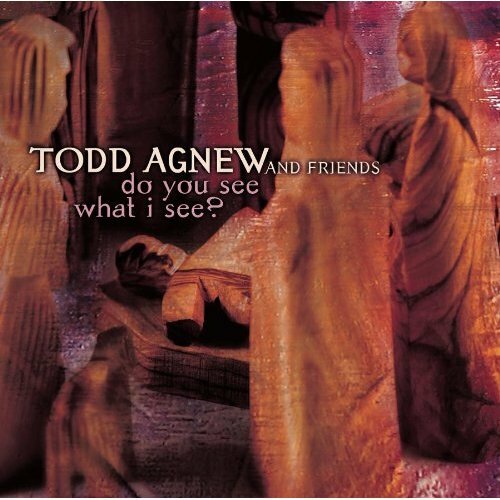 I've always liked Todd Agnew's voice, so a few years ago I decided to get his Christmas CD, Do You See What I See?. Todd Agnew sings a few songs on this CD, but it also features several other artists as well. What I like about this CD is that it's completely centered on the true meaning of Christmas, which is to celebrate the birth of our Lord Jesus. The CD is presented almost in the form of a play, with each song on the CD written from the perspective of a different character in the Christmas story. Some of my favorites include "Do You Hear What I Hear? ", "This Is All I Have To Give" (Joseph), "Magnificent" (which is based off of Mary's Song in the Bible, and is applicable to everyone's life, I think), and "Did You Know" (which is played on the radio quite a bit). The last song on the CD, "In The First Light/Postlude", is probably one of my favorite Christmas songs ever. It's a reflection back on Christ's birth after he is born, but it also looks forward to His sacrifice for us on the cross, His Resurrection, and the fact that He's coming again! I'd highly recommend this CD for Christmas - the music on this CD really focuses me back to the reason why we're celebrating this time of year, and I know it will do the same for you. In the weakness of a baby, they knew God had come to Earth. And they would hate him and, in anger ,they would nail him to a tree, oh. He had left it to redeem us, but before his life began he knew he'd come back, not as a baby, but as the Lord of every man. But how much greater will our song be when he comes again, when he comes again . . . When comes to rule . . .
Said the king to the people everywhere, "Listen to what I say,"
Pray for peace, people eveywhere, and listen to what I say. Thank you, ladies, for all your prayers for that girl who is pregnant with twins and was scheduled to have an abortion yesterday morning - she didn't end up showing up to the clinic at all, so she did not have the abortion yesterday, thank the Lord! I don't know anything else about her mind processes or decisions, so keep praying that she would continue to choose to keep these babies, and that she'll find Jesus. Thanks to everyone who offered a prayer on her behalf, I know it made a difference, wherever she is! I'm looking forward to reading more from 110% Surrendered Blog on her experiences outside the clinic . . . check out her blog if you're interested. I'm afraid I don't have a post prepared for today, yet again. I had a really rough day at work yesterday - and not because the patients were terribly difficult. It was just me. It wasn't anyone's fault, except maybe mine, and I don't even know what I did to make the day difficult. Maybe it's just an attitude problem. I'm not looking forward to today - I just feel drained. Enter the food items that make me happy, which right now is fruit. Especially citrus fruit. Mmmm. Tomorrow we are officially setting up our Christmas decorations! Yes, before Thanksgiving. And I have no problem with that - it's our tradition to set them up the weekend before Thanksgiving. As my dear friend Chloe pointed out to me recently, Christmas is the most wonderful time of the year, so why not stretch it out as long as possible? Enter the Christmas posts, probably starting next week! I hope you all have a fabulous weekend! 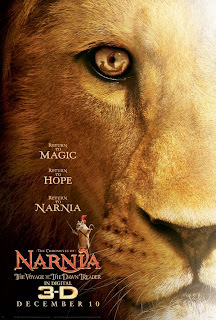 Am I the only one who was totally unaware that The Voyage of the Dawn Treader is coming out this December 10th? I saw a preview for it on TV the other day, and I can't wait to see it! How exciting. The Voyage Of The Dawn Treader was always one of my favorite books in the Narnia series - maybe because it was so fantastical, and I loved seeing what would occur on the next island they sailed to. Plus the sweet water near the end of the world was totally fascinating to me. And I love Eustace's transformation through the book. If any of you have never read the Chronicles of Narnia, you are missing out. Seriously. I'm really looking forward to the movie! Maybe I can talk my family into seeing it on opening weekend . . .
P.S. Urgent: Please read this post and pray for this girl who's scheduled for an abortion today, that she'd change her mind. Maybe it's just because I'm pregnant, but she and her babies have really been on my heart since I read about her in that post yesterday. Somewhere in this country is a young girl pregnant with twins. And she's scheduled to have an abortion tomorrow at 9:00 AM. A small group of what I would term "domestic missionaries" is going to the clinic tomorrow to try to find her, share with her the love of Jesus, and talk her out of this terrible decision. Please pray that the Lord would work on this girl's heart, and that He would give wisdom to these brave Christians who are going to reach out to her tomorrow. Pray that He would save the lives of these babies and give this girl a new life in Him. Please head on over to 110% Surrendered to let her know we'll be praying for her tomorrow at 9:00 AM as she heads to the clinic to find this girl. And the winner of the Intelligender giveaway is . . . Sarah from Boredom Leads To Blogging! Someday I'll think of a higher-tech way to take those. Congrats, Sarah - you seriously have to tell me if it gives you the right result when you use it - I want to know! I'll be e-mailing you shortly to get your info! Most of you know that we're finishing the basement in our house. However, a few major questions keep coming up, and I realized I've never really explained the reasons for our plan in detail. These are the answers to some of the questions I've gotten - let me know if you have any more! Why are you finishing the basement in your house? Mainly we decided to put the money into finishing the basement because it will double our square footage and add value to our house. We live in a raised ranch home - meaning that we have a walk-out basement, but the main living rooms and bedrooms are upstairs. Most homes in the mountains are like that. When we bought the house the basement was roughed in to be finished, but there were no walls up or anything down there - so when you walked into our house through the basement door it just looked like it was still under construction. Now that we have the basement nearly finished, we will have a four bedroom/two bathroom house(well, one room is technically an office, but we'll be using it as a nursery)instead of a two bedroom/one bathroom house. We also have another family room space down there. If we ever sell this house in the future, it will go for a lot more than we bought it for, even considering the money we've put into it, so we think it's a good investment. Why are you moving into the basement? When I refer to "moving into the basement", I mean that we'll be moving our bedroom down there. One of the bedrooms we built down there is much more spacious than the one we're living in now, so it'll just be nice to have more space. Plus, once we finish the second bathroom (which will be a few more months, probably), it'll be our "master bathroom" - with a nice big tub! Unfortunately we weren't able to connect the bathroom to the "master bedroom", just because of the way we had to lay out the rooms, but it'll still feel like our "master bathroom/bedroom" to me anyway. The nursery will be across the hall from our new bedroom as well, which works out nicely, because I wouldn't want to be upstairs with my baby downstairs or visa versa. We'll still be using the upstairs as well, so we aren't moving everything into the basement - just our bedroom. What are you going to do with the upstairs? The upstairs will still hold our kitchen and main living area. The two bedrooms will be turned into a spare room (so if any of you blog friends decide to visit me, there will be a room for you!) and an office/library. Derek may be working from home one day a week next year, and he'll need a quiet place to work, so he's going to turn the one bedroom into an office. At least until we have more kiddies and eventually need it for a bedroom, but it will probably be several years before we get to that point. I'm not allowed to touch the office - Derek is going to set it up and decorate it exactly how he wants it. I think that's fair, considering that before we got married we originally talked about Derek having decorating rights to the basement once we finished it - which he graciously handed over to me now that it's actually happening. So the office is his territory. Though I'll probably have to take him shopping so that he'll actually get it decorated, but he gets full creative license with that room. I think he'll do a good job - he has good taste! Basically our house will have three bedrooms, two bathrooms, two living room areas, a kitchen and laundry room, and an office when all is said and done. Okay, enough about all that (though if there are more unanswered questions, leave me a comment). Now on to the video tour! We took this right before we left for a coffee date, and the camera was about to die, so we were kind of rushed. And I'm afraid it's not the best quality, because the camera was rather fuzzy and I didn't realize it until later. But you can at least get a peek . . . Basement Tour from Callie on Vimeo. I was just doing some blog reading and I read about a free Seven Everday baby sling over at Live A Charmed Life. Thanks for the baby sling freebie post, Emily! Now, I wasn't necessarily planning on buying a sling, because they're expensive, and I wasn't sure I'd need one - but if I can get one for free, I'm all over that. Well, kind of free. You still have to pay for tax and shipping, which amounted to a total of about 15 dollars for me. But the slings are normally 40+ dollars (with tax) plus the 12+ dollars for shipping, so it's still a great deal! I also think these slings are actually really cute. Alot of slings don't look as modern as this, or they seem to bulky to me, but these seem perfect. All you have to do is type in "turkey" in the promo code box, and it'll take 40 dollars or so off the total! I ended up getting the black one, but the purple was sorely tempting. I'm officially six months pregnant! The belly button continues on it's journey to an outie . . . The most exciting development is that Babykins is now considered viable, meaning if he was born right now he could survive outside the womb! Granted, he'd have to stay in the NICU for quite a while, but he could survive. That's really exciting to me! This little munchkin is 8.5 inches long from the head to rump, or almost 12 inches long head-to-toe. He weighs about a pound and a half. He'll gain about 6 ounces per week now (my goodness! ), and he'll start to build up more body fat. He stretches and kicks me all the time right now, and I'm loving it! Many of the kicks are above my belly button, and I've even felt some movement just under my rib cage - we're certainly growing! Sometimes I feel him on both sides of my stomach at once, or up high and down low at once, so I think he likes to stretch his little legs! I had a very odd experience this past weekend. I was sitting in my car and I couldn't breath all of a sudden. It lasted about 20 seconds or so, and my heart was pounding, then it went away and I was fine. Anyone have any idea what that might have been? I'm going to ask my doctor about it at my next visit. It was kind of scary, and there's been a couple other times since being pregnant when I felt like my heart was fluttering funny. You know I always appreciate your prayers. I have to call the lab and set up my blood test for gestational diabetes. Hopefully I'll pass with flying colors - I'll keep you all posted. I have been freaking out a bit about the weight I've gained. I don't know what's normal for six months in, but I've gained about 11-12 pounds. My weight gain goal is 25 pounds. I've been told that you should gain about a pound per week at this point. That means that if I gain a pound per week for the rest of this pregnancy, I'll go over my weight gain goal! So I need to slow it down a bit and try to improve my diet. I'm not going to beat myself up over it if I go over, but I really don't want to go over. I want to gain a healthy amount of weight. The little boy always measures big, so I'm holding on to the hope that it's not me, it's him! I've been working on the baby quilt that I talked about making - I think it will turn out really cute! I'll show you all soon, I just need to get the front completed first. Then the hard part will be adding the backing and batting - I'm a little nervous about that. I'm also debating on whether to paint the nursery or not. I want to paint it blue, but if we have a girl next, then I'll have to repaint it a more gender-neutral color, because our babies will probably share the same room for a while. I don't think my sweet little toddler will want to sleep in an upstairs room all by himself when we have another baby. And I wouldn't want him to have to come all the way downstairs if he has a bad dream, hence why they would share a room. So the question is, to paint, or not to paint? Or to paint in a neutral color instead of blue? Opinions? Ever since finding out we were having a boy, Derek and I have been getting asked about baby names. There's a post coming up about that, but I'll just say right now that we have no idea. More on that later. Oh, and I found some stretch marks. This was very depressing to me at first, but thankfully they are placed so that they'll still be hidden by my swimsuit after pregnancy. I was a little surprised, because I really haven't gained much weight - I can still fit into my skinny jeans (except they can't be buttoned because of the belly). But I guess I grew just enough - rats! Here are the belly pictures for this week. I feel like I look so much bigger - am I really that large in person? I guess it's not bad, it's just weird to see pictures of myself with that big 'ole belly! I'm unmistakably pregnant now - except when I'm wearing my scrubs. Most of my patients still can't tell I'm pregnant unless I tell them. Let's compare to a picture of me at 10 weeks pregnant, shall we? Yes, my friends, that really was only 3 1/2 months ago. Oh my. I'm not going to worry about it though, because it means our baby is growing well! P.S. I just went to this website with a Pregnancy Weight Gain Estimator to determine how much I should weigh at this point in my pregnancy - and it made me feel so much better. It told me I was two pounds under what I should weight right now. Weight Status: Underweight (here's where that 28-40 pound recommendation comes in, but my doctor and I agreed that I was at a healthy weight before we got pregnant, not underweight - I just have delicate bones). Total Weight Gained: 12 lbs. I can handle 7-8 pounds of fat to lose - and the rest should probably take care of itself within a couple months after the baby is born. Right? P.S. Congrats to Brittany Ann at Living In The Moment - she just announced that she and her husband are expecting a baby! I know it wasn't easy for her to get pregnant, just like it wasn't easy for me, so it makes me so happy to hear the news! I read a funny verse a couple months ago. "A young man, wearing nothing but a linen garment, was following Jesus. When they seized him, he fled naked, leaving his garment behind." I believe every verse in the Bible is in there for a reason, even the ones that don't seem to fit - we just have to figure out the reason why. So I found myself wondering who that young man was, and why it was important for him to be mentioned there. I told Derek about that verse and my puzzlement over it, and he whipped out his Life Application Study Bible and looked it up for me. Then he told me what his footnotes said, and the story started to make more sense. In the footnotes, it noted that Christian tradition says that the young man in those verses was Mark, the author of the gospel of Mark. He is also known by the name of John Mark. Well, that caught my attention, because I remembered that John Mark was who Paul and Barnabas argued about when they parted ways in Acts. I never fully understood why Paul didn't want John Mark to come with them on the missionary journey, and I never understood why Barnabas was so adamant about defending him. It always seemed like such a shame to have them separate over something like that. "Mistakes are effective teachers. Their consequences have a way of making lessons painfully clear. But those who learn from their mistakes are likely to develop wisdom. John Mark was a good learner who just needed some time and encouragement. Mark was eager to do the right thing, but he had trouble staying with a task. In his Gospel, Mark mentions a young man (probably referring to himself) who fled in such fear during Jesus' arrest that he left his clothes behind. This tendency to run was to reappear later when Paul and Barnabas took him as their assistant on their first missionary journey. At their second stop Mark left them and returned to Jerusalem. It was a decision Paul did not easily accept. In preparing for their second journey two years later, Barnabas again suggested Mark as a traveling companion, but Paul flatly refused. As a result, the team was divided. Barnabas took Mark with him, and Paul chose Silas. Barnabas was patient with Mark, and the young man repaid his investment. Paul and Mark were later reunited and the older apostle became a close friend of the young disciple . . .
. . . Barnabas played a key role in Mark's life. He stood beside the young man despite his failure, giving him patient encouragement. Mark challenges us to learn from our mistakes and appreciate the patience of others. Is there a Barnabas in your life you need to thank for his or her encouragement to you?" I really loved reading that explanation, because it explained a little better the decision of both Paul and Barnabas to part ways, and it gave such a happy ending to the whole story. Paul didn't want John mark to come because he had proved himself unreliable before (Acts 13:13). I always assumed Paul was right, Barnabas was wrong, and John Mark must not have been a very good guy. But after reading this commentary, I was able to see the story in a new light. Paul had good reason to be hesitant about bringing John Mark - he had left them on their first journey (Acts 13:13). Barnabas saw Mark's potential - he wanted to be an encouragement to Mark by giving him another chance and helping him to grow, and that's why he was so insistent on bringing Mark. Mark wasn't a "bad guy", but just a young Christian who needed some encouragement and a second chance. I liked reading about this, because it made me realize that neither of them was necessarily wrong in the argument - Paul had a good reason for not wanting Mark to come, and Barnabas had a good reason for wanting him to come. And a good thing came out of their decision to split - not only were they able to spread the gospel to two different parts of the world, instead of just one, but Mark was encouraged and grew through being allowed to go on the journey. Paul comments later on how Mark became helpful to him in his ministry (2 Timothy 4:11), even calling him "my son Mark" (1 Peter 5:13). This wasn't the first time Barnabas encouraged someone. He was such an encouragement to the early church that they started to call him Barnabas, which means "Son of Encouragement" (his name was Joseph originally - Acts 4:36). When Paul first became a Christian, the church in Jerusalem didn't believe that he was really a believer (Acts 9:26), which was understandable because of how he had persecuted them before. It was Barnabas who took him under his wing and introduced him to the apostles (Acts 9:27). Barnabas opened the doors for Paul to be accepted in the church at Jerusalem by being an encouragement to Paul and accepting him. The quote that I shared above about John Mark asks if you have a Barnabas in your life that you need to thank for encouraging you, and I would encourage you to do that. But I have another question for you - can you think of someone in your life to whom you could be a Barnabas? Barnabas is one of those quiet heroes. Those who encourage others aren't in the public eye - if you choose to step out of your comfort zone and encourage someone, you probably won't be recognized for it. We'll never know what would have happened to Paul and John Mark if Barnabas wasn't there to encourage them. And you may never know the difference you make in someone's life just by being there to lift them up when they are down, by being their Barnabas. At least you won't know on earth - but I think there must be great rewards in Heaven for those who choose to encourage others. I hope you step out in faith and choose to be an encouragement to someone today. It could make all the difference in the world. It appears that winter has finally arrived to my part of the country! The indian summer was nice in a way, but I'm really glad to have some snow, finally. People complain about snow so much, but I like it. There comes a point where you just shouldn't have 80 degree weather anymore. Especially when Thanksgiving and Christmas are right around the corner. Speaking of Christmas, I'm now officially in full Christmas-music mode now. It was snowing on the way to work yesterday, and I couldn't help myself - I broke out the Christmas CDs! I think I may have to do a little shopping after work today too - Christmas shopping, of course. A Christmas giveaway may or may not be coming soon . . .
And speaking of giveaways, don't forget to check out the giveaway I have going on now! I'll be picking a winner next week. 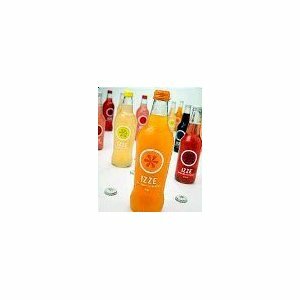 Yesterday I tried an Izze drink. Basically it's fruit juice mixed with a little sparkling water - and it was so good! I think I may have to get some sparkling water, so I can make my own at home. It just hit the spot. Not much else going on, except for the little one moving like crazy - I love sitting in bed and watching him stretch at night. He seems to be a restless sleeper, like me. I have to flip over several times and pound my pillow with my fists before I can find a comfortable position to sleep in. The little man does the same thing - I could have sworn he was practicing boxing last night, and using my stomach as a punching bag, but he finally settled down. This is a completely random and somewhat boring post, but I was unprepared today, so I'm typing this over my lunch break. I hope you don't mind! I figure every blogger is allowed one of these posts every now and then. My wedding ring gets just filthy sometimes. I suppose when you never take a ring off, that's what happens. But it's always shocking the amount of gunk that gets caught in all the little nooks and crannies. My normal cleaning method is to take an old toothbrush and toothpaste and just spiff it up a bit. It's amazing how well it works. The bristles of the toothbrush can get into the smallest spaces, and the slight abrasiveness of the toothpaste just polishes it right up. But then there comes a point when the grime gets tougher, and the normal toothbrush cleaning just doesn't do it. Thankfully, my hubby got the lifetime garauntee for my ring when he bought it, so I can take it in to get it cleaned professionally at any time! It seems like sometimes they do a good job, and sometimes they don't so most of the time I just stick with the toothbrush method. However, it was getting so grimy a couple weeks ago, that I decided to take it in and hope they could get it all the way clean this time. Once I got there they asked me if I was there for my six month check-up. I was thinking, "What is this, a dental office? ", but I said I guess so, and they looked me up in their system. I was wondering if the six month check-up thing meant I could only come in every six months to get it cleaned - but then I figured out what they meant. The six month checkup refers to when they check your ring to see how secure the diamonds are, and they give it a nice cleaning at the same time. How lovely - I didn't even know they did that! And apparently I was about a year and half behind on my six month check-ups, so I handed over the ring, and the lady held it up underneath a microscope to take a closer look. She started poking at the diamonds, and before long she announced that one of the diamonds was loose. Oh no! Boy, was I glad I came in for my six month check-up when I did so I didn't lose a diamond. She handed me some paperwork to fill out while she entered some information in the computer, and I set to work on it, thinking they'd get it fixed in no time and I'd be on my way with my sparkling ring. Only when she sat back down and wrote a date on the paperwork did I realize that I would not be walking out of there with my ring. They had to send it off to the repair people to fix it, and I was going to have to wait two weeks to get it back. Two weeks! I'm sorry, but I don't like walking across a parking lot without wearing my wedding ring. I want people to know that I'm married. Unfortunately, there was nothing to be done about it, and I walked out of the mall with my bare finger glaring at me, feeling very out-of-sorts. There was just no way that I was going two weeks without wearing some kind of ring. Especially with this big ole pregnant belly leading me everywhere I go. I want people to know that I'm married now more than ever! So, I went and bought a fake ring at Walmart for eight dollars. I felt very awkward going through the checkout, and I'm sure I know what the clerk was thinking having a clearly pregnant lady with a naked ring finger buying a fake wedding ring. How embarrassing. Fake wedding rings stink. The paint starts to wear off within a few days, and if you look closely you can clearly tell it's not real. Then there's always the added problem of my very small fingers - they never have fake wedding rings in my size. I did have a rubber ring adjuster for a while, but I lost it, and now the ring just dangles upside-down on my finger half the time. But we're in the home stretch now! My ring is supposed to be back on November 11th, and I intend to go to that store the first chance I can get and retrieve it. Only one day left. I suppose I can handle that. And I sigh as I type . . . I recently read a post on Rachel's blog about IntelliGender Gender Prediction tests. Rachel received a test to review, and apparently you can get results on the gender of your baby that are 80-90% accurate as early as 10 weeks pregnant. I had no idea anything like this even existed! I was intrigued, so I did a little research. Unfortunately, IntelliGender doesn't have any information on how the test works yet (at the chemical level), because the patent is still pending. But the results are supposed to be 80-90% accurate when the tests are used correctly. By this time I already knew the gender of our little one, but I decided to contact Intelligender regarding the tests anyway. And guess what? 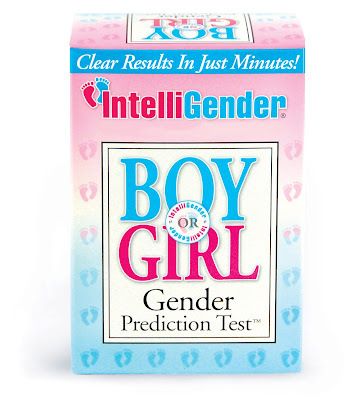 They've offered to give away an Intelligender Gender Prediction Kit to one of my readers! I know there are several of you who are pregnant out there, and many who are hoping to be soon - so I jumped at the chance! Now, I haven't tried this product myself, so I can't tell you anything about it from personal experience. If you'd like to hear from someone who has used one, check out Rachel's Intelligender review post. I would say that if you win the kit and use it, read the directions carefully. That seems to be the key if you want the most accurate result. That means you must use your first morning urine, read the test at eye level, swirl instead of shaking, along with other specific directions. For more information on how to use the test correctly, read the directions in the box or see the IntelliGender FAQ page. Obviously an ultrasound at 20 weeks is the most accurate way to find out the gender of your baby before he/she is born, so I wouldn't make any big gender-based decisions until you get the results confirmed with an ultrasound - but I think this would be a fun thing to do to get a sneak-peek! 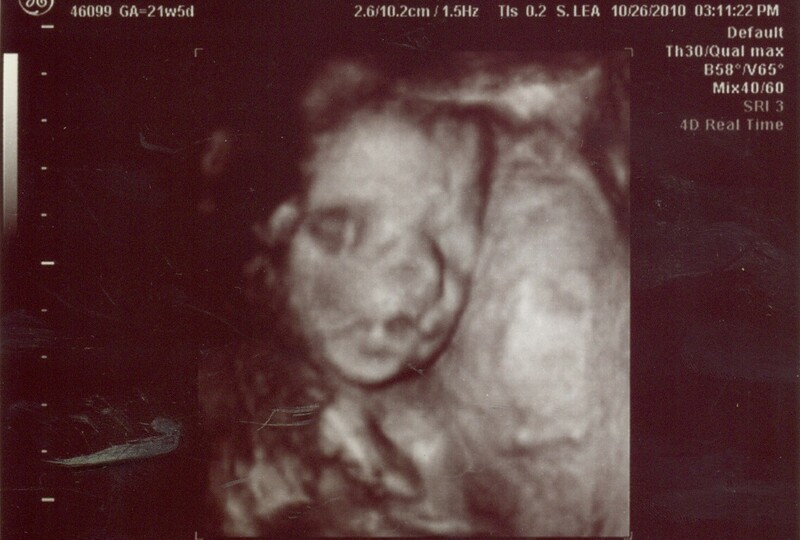 I'm really looking forward to seeing if Rachel's result was correct or not, since she'll be getting her ultrasound soon! For more information, please check out IntelliGender's blog and Twitter feed as well! 1. Leave me a comment telling me whether you think you're first child will be a boy or a girl, or telling me if your "gut feeling" was correct with your first kiddo! Please include an e-mail where I can contact you (if you don't want your e-mail published, leave it in a separate comment telling me so). 1. Become a follower of my blog, or let me know if you're already a follower (I wanted to give that little advantage to you regular readers out there!). The giveaway will close at 12:00 AM on Tuesday, November 16th, so you have through next Monday to enter. I'll determine the winner using Random.org, and I'll announce the winner next week, so please be sure to include an e-mail address so I can let you know if you won! And please tell me if your gender prediction result ends up being right in the end or not - I'd really like to know! 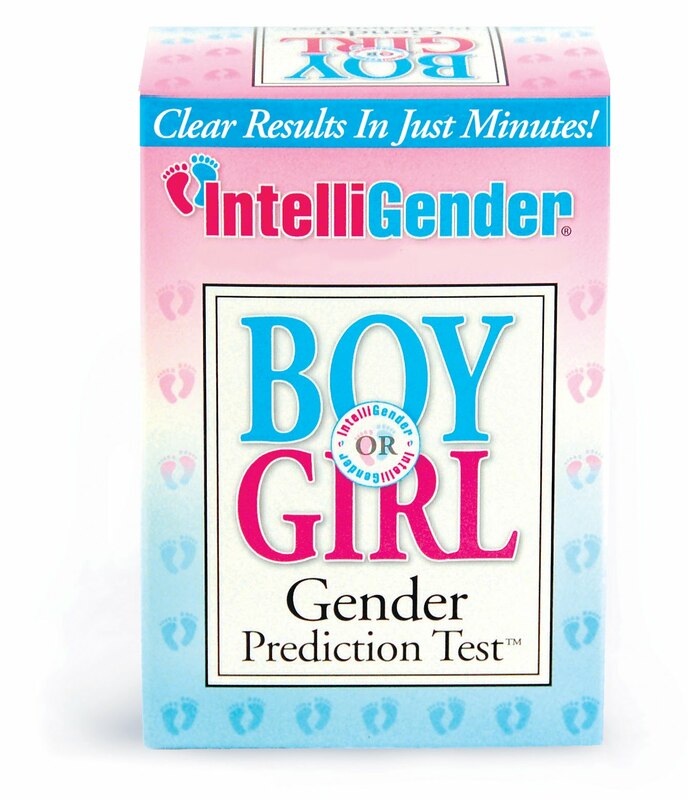 Note: The Gender Prediction Kit for this giveaway was provided to me by IntelliGender, and I have not been given any other compensation for hosting this giveaway. Snakes And Snails . . .